Maytag automatic dryers use a motor pulley system to control the movement of the tumbler drum. A belt connects to the pulley system and wraps around the drum. Each Maytag dryer model uses the same type of motor pulley system. If the pulley becomes damaged, the belt will not connect properly, preventing the drum from rotating. Replace a faulty motor pulley to keep a Maytag dryer operating properly. Unplug the power cord from the wall socket. Remove the pair of screws located along the bottom of the front panel. Lift the front panel straight up to disconnect it from the Maytag dryer. Disconnect the electrical connector leading to the door switch. Set the front panel aside. Remove the screws connecting the shroud cover to the dryer cabinet. The shroud cover is a metal object directly in front of the drum. Lift the shroud cover out of the dryer cabinet. 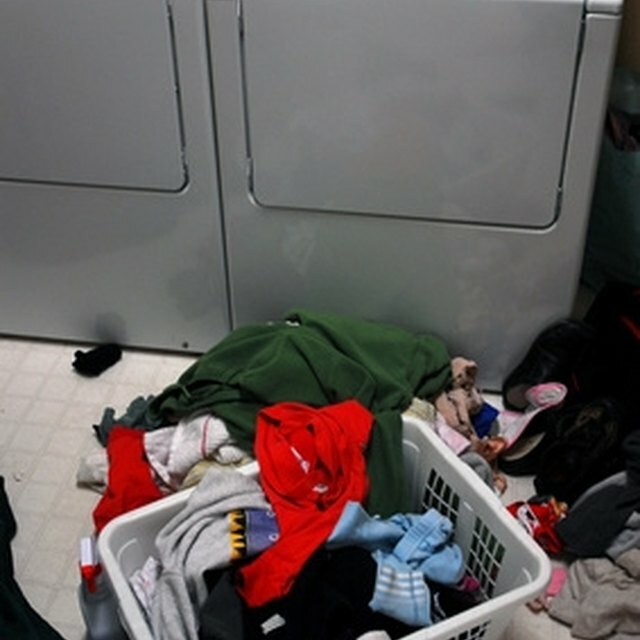 Pull the idler pulley toward the front of the dryer to loosen the belt. Slide the belt off the motor pulley. Loosen the screws holding the motor pulley in place. Remove the motor pulley from the dryer. Position the new motor pulley into the dryer cabinet. Connect the screws that hold it in place. Position the belt around the new motor pulley. Push the idler pulley toward the rear of the dryer to tighten the belt. Replace the shroud cover inside the Maytag dryer. Connect the screws securing it to the cabinet. Replace the front panel. Connect the door switch connector into its socket. Install the screws on the bottom of the front panel.